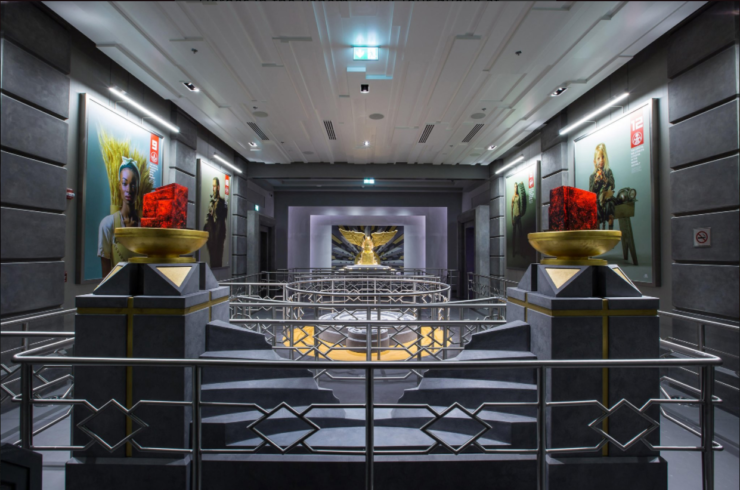 This Hunger Games Theme Park in Dubai Doesn't Really Get The Irony | OhGizmo! By David Ponce on 10/30/17 • Leave a comment! The Motiongate Dubai theme park, has recently debuted their newest addition, a Hunger Games themed section. The section features a “Capitol Bullet Train” rollercoaster, the Hall of Heroes, and the Panem Aerial Tour multimedia experience. I think they don’t quite understand the irony in having Hunger Games themed attractions, as the franchise revolves around a dystopian future where only rich residents enjoy a high standard of living and nearly everyone else suffers from poverty and starvation. There’s also that little detail where they make kids fight to the death annually for their amusement. Honestly, if they’re going all in with Hunger Games attractions, they could do a little better. How about park staff dressed like Panem Officers who confiscate the food you just bought, flash mobs that every hour, pretend to riot to protest the wealthy. Of course, the main attraction would be the Hunger Games Experience where kids between the ages of 12 to 17 fight in mock version of the actual games. The losers are kicked out of the park, no refunds, while the winners get a $5 gift card.